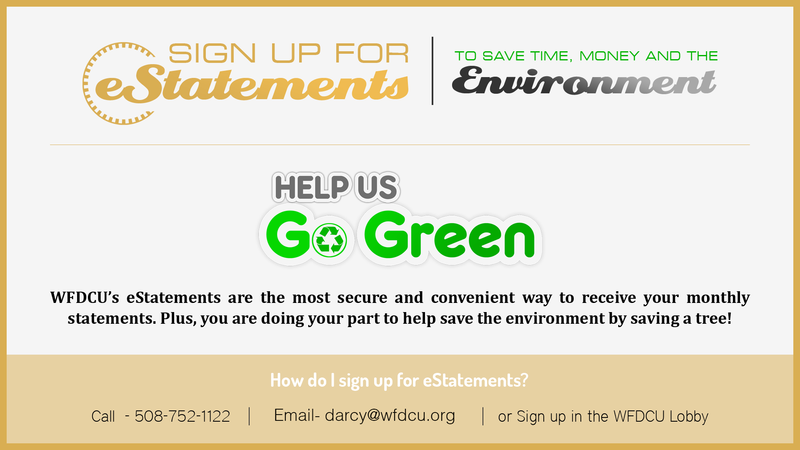 By using E-Statements, you can help reduce paper, lower costs for our cooperative, plus you'll help the environment. Less paper means more trees! 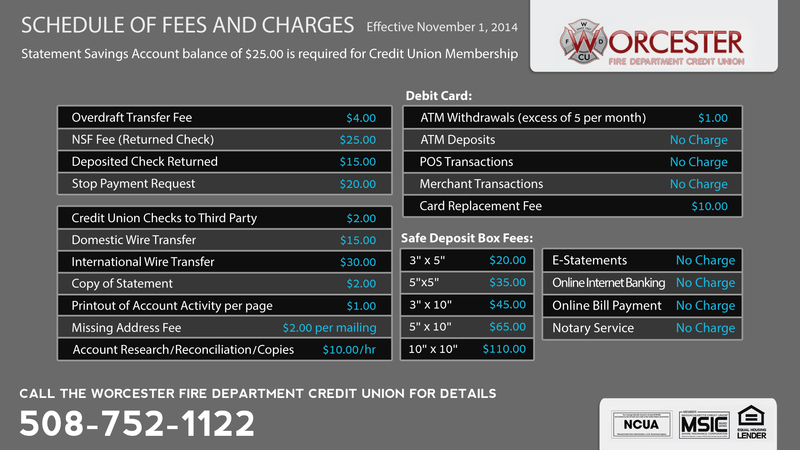 View your WFDCU account statements online using Online Banking. It's safe, convenient and free. Sign up for E-Statements, and we'll stop mailing your paper statements and simply send you an email reminder once your account statement is available for viewing online. Convenience has a new name: MoneyPass® The coast-to-coast, surcharge-free ATM network WFDCU recently became part of the MoneyPass® surcharge-free ATM network. MoneyPass already has 22,000 ATM's coast to coast-and the network continues to grow. Since each and every MoneyPass ATM is surcharge-free, you won't worry about paying a fee to access your money. Finding the MoneyPass ATM location nearest you is easy: Simply visit www.moneypass.com to access the MoneyPass ATM locator and find surcharge-free ATMs near you. For even greater convenience, you can access the mobile MoneyPass website at mobile.moneypass.com and download locator apps for your iPhone or Droid. If you have a WFDCU debit card, you’re ready to go. If you don’t, apply for one today by visiting the WFDCU. The Worcester Fire Department awarded 13 Sophomore Scholarships to students entering their second year of college at very prestigious colleges across the country. Each student received a check for $500.00. The funds for the scholarship came from the Credit Union’s fund and the sale of our Red Sox, Celtic, Bruins & Patriot’s tee shirts. These sales increased the amount each student was awarded. Over the years, the Credit Union has given out over $72,000 in scholarships to our Fire Fighter’s families. Selling more tee shirts will ensure that our students will receive even more!! Thank you for your support for this great cause.